The Dollinger Master of Real Estate Development program at The University of Southern California is an intense, one-year graduate real estate program that exposes students to many broad areas of commercial real estate. The USC Dollinger MRED is a highly competitive program and is distinguished by its affiliation with the Lusk Center for Real Estate. The students who enroll in the program bring strong academic credentials along with a rich professional grounding in real estate. The curriculum of the USC MRED is intentionally broad and covers the full range of disciplines required for a successful real estate career. In particular, inclusion of a strong sequence of core design courses sets the MRED program apart. 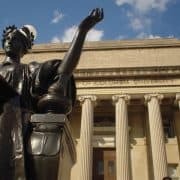 They also believe that the balance between full-time and adjunct faculty provides an academic experience of breadth and depth. USC professors offer the benefit of their research and introduce students to their innovative real estate ideas. Adjunct faculty bring a wealth of professional experience and an appreciation for knowing first-hand what it takes to succeed in the current market. 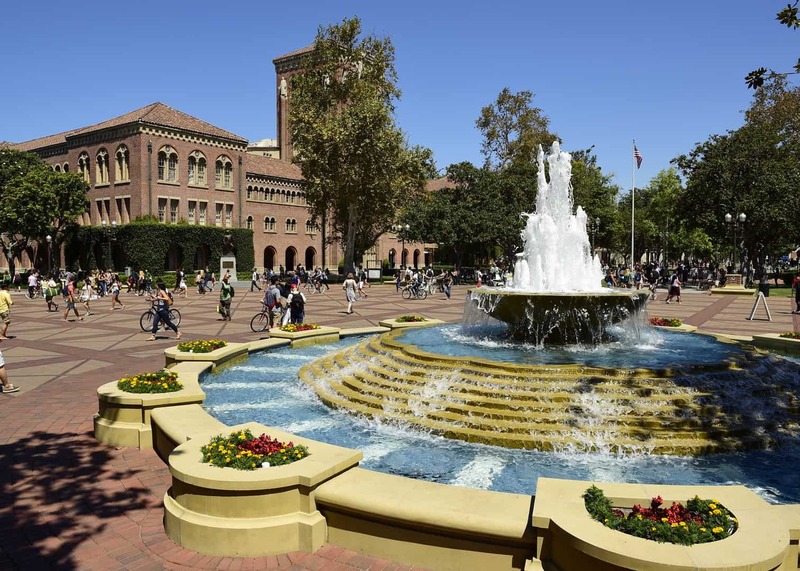 Located just south of downtown Los Angeles, USC’s centrally located campus has a dominant presence in the Southern California. It’s academic prestige, venerated history of top NCAA sports teams (In 2009, USC’s football was named “Team of the Decade” by both CBSSports.com and Football.com), reputation for wealthy students and high visibility in the 2nd most populous city in the country all contribute to the highly visible brand of the school. 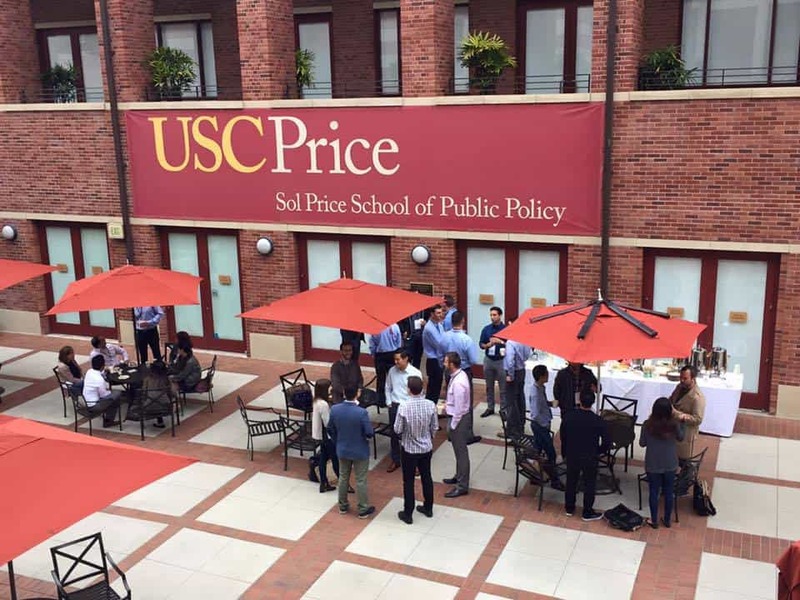 Unlike many graduate real estate programs which may be housed in a business, engineering or design school, the USC MRED program is housed in the Sol Price School of Public Policy. This key relationship exposes students more deeply to the various governmental and public/private relationships that are so essential to the real estate development process. 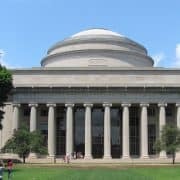 It also imparts students with a prospective that considers the long term social and societal implications associated with commercial real estate. 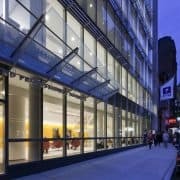 In this post, the sixth in a six-part series on graduate real estate programs in the United States, I’ll explore in-depth the USC Dollinger Masters of Real Estate Development program, its students, its curriculum, its admissions process, and whether this prestigious graduate real estate program is right for you. Disclaimer: I am a current applicant to the USC Dollinger Master of Real Estate Development Program. Dual Degree’s offered include: JD, MBA and Masters of Planning. Click here for more details. Cost of Living Comparison: Using Numbeo’s Cost of Living Comparison tool, I compared the cost of rent in cities where the six graduate real estate schools being profiled are located. Students can expect to pay a premium on big city rents, and entertainment in the city of angels. Expect to have a car, spend time in the famous Los Angeles 110 and 405 traffic and spend about $1,400 per month all the way up to $2,000 per month for a nice one bedroom. I talked to several students using the public train system. They said it’s safe, allows them to get work done and drops off on the southern edge of campus. Financial Aid Available? Yes. MRED scholarships and the USC Financial Aid Office offer assistance as well as many government student loan options. The Dollinger MRED program requires the completion of 44 units, comprised of 13 core courses and 8 units of electives. Classes combine lectures, projects, case studies, site visits, and exercises, providing students experience across all facets of a real estate professional’s tasks and challenges. In addition, all students complete a comprehensive exam as a capstone requirement. For full and detailed course descriptions click here. The following core courses comprise 32 units, which must be completed by all Dollinger MRED students. A total of 12 units of elective coursework is available to Dollinger MRED students. Classes may be selected from within the MRED program or from other relevant courses in academic units across USC. During MRED Orientation, a Finance Proficiency Exam will be administered and must be passed before students can enroll in RED 542. The exam includes problems requiring the use of Excel to compute the time value of money, internal rates of return, net present value, and mortgage balances. Students who do not pass the quiz will enroll in RED 541 Finance Fundamentals as a prerequisite for RED 542 and apply this course toward MRED elective requirements. Students with prior academic training in core course areas may petition for class waiver. The instructor’s conscent is required. Students receiving such waiver will receive subject credit and must satisfy unit reqiurements by the completion of additional electives. None. The program does let you focus into the area you want but no true concentration is available. This is why it’s so important to know what you want out of the program before you go in. The months will fly by and challenge you so it’s critical to know that the program is really focused on helping people enhance their real estate trajectory more than it is creating your new career path. I was impressed with the experiential or “real world” knowledge of the faulty. I know it’s not uncommon in graduate real estate to have several professors who are active in their own firms/funds but USC impressed me here. 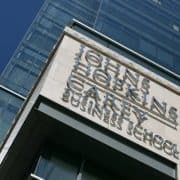 Some alumni have said it’s almost too much in the way of anecdotes and that professors seemed more like executives than educators but these former students also said how these lessons have impacted their work in surprisingly impactful ways. For a list of the faculty members and their respective colleges, click here. Class Profile: The classes consist of between 20 and 40 experienced real estate professionals from all over the world. The class averages 7.1 years of work experience and brings with it a diversity of backgrounds ranging from architects, real estate lawyers to brokers and real estate tech entrepreneurs. The one thing each class member has in common in their real estate backgrounds is their drive and clear desire to enhance their career trajectory. Extracurricular Activities: The Graduate Real Estate Association serves the MBA and MA programs and plans lots of activities for students to network with industry professionals. ULI chapter membership. MRED students participate in several case competitions: NAIOP USC vs UCLA Real Estate Challenge. National Real Estate Challenge held at UT Austin. Social Life: Los Angeles is the second largest city in the country and is absolutely packed with fun things for all types of interests. The campus is just south of downtown LA and close just about any cultural or entertainment venue you can imagine. 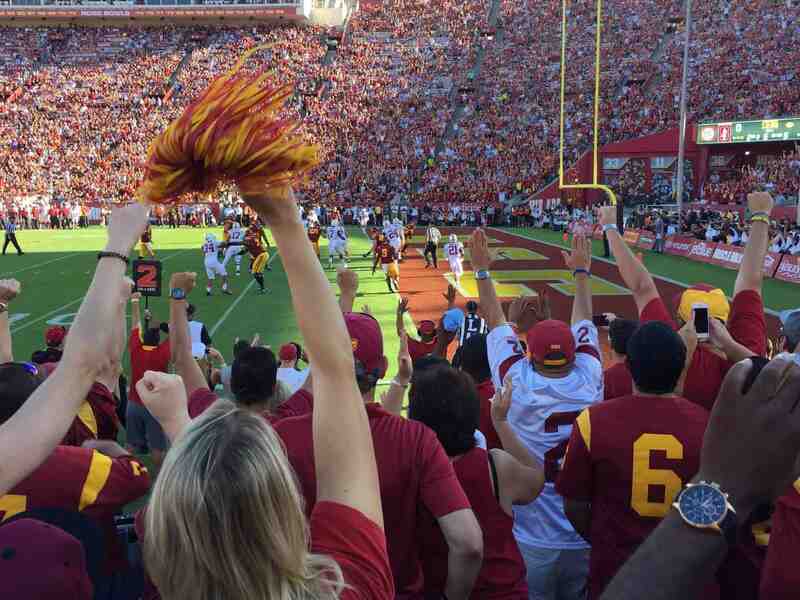 USC football games in the historic Los Angeles Colosseum (host to 2 Summer Olympics, 2 Super Bowls and a World Series) can’t be missed. Tailgates and other athletic events are a quintessential part of the USC experience. My personal favorite aspect of this school is how close it is to any outdoor activity you could really ever want; the beach, hiking trails and even skiing. MRED classes are held both inside and outside of the classroom. Students come in with a career path, others are switching but all are experienced in some aspect of commercial real estate. 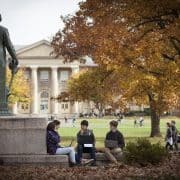 USC started a case study series with a $3 million gift to teach students using real world scenarios, from actual alumni, in classes. In more recent news, 2015 the school started a new undergraduate degree offering a BS (BRED) in Real Estate Development (4th bachelors degree in US). This exciting addition should serve to grow the USC real estate alumni going forward. Graduate understandably place very strongly in Southern California but they also find work in other areas on the west coast as well. The USC MRED dominates California but sends graduates all over the country and world for that matter. Actually, 1/3 of alumni are located outside of the country with a high population in South Korea. Unlike many other renowned programs on the east coast, USC sticks out in it’s region due to it’s geography. 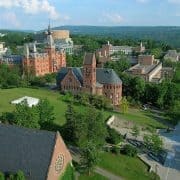 Other top schools like Cornell, Columbia, MIT and NYU are all in the Northeast and I have spoken to a few USC MRED alumni that say this regional isolation works in their favor as a one stop shop for some recruiters. It’s possible to do internships and projects while in school but would not be recommended as a full-time students would struggle to balance class, networking opportunities outside demands in this intense 10 month program. As is often the case, networking and attending industry events like those held for students at the Lusk Center would put you in contact with a wide range of potential employers. USC brings in leading commercial real estate professionals that pick up students for current and future positions. Talks with distinguished speakers and the many conferences held on campus bring close interaction with possible employers and students. Conversations with employers begin on the first day of class and students take advantage of their close proximity to some of the best real estate employers in the country. The Lusk Center for Real Estate publishes annual salary statistics for USC MRED graduates from the previous year. Here are the statistics from past classes. The program does well and compensation/placement is on par with other top programs in the country. Admissions information is always subject to change, so you should confirm this information is still applicable by visiting USC Dollinger’s MRED admissions page. Pre-requisites: Foundational classes in General business finance (including the use of Microsoft Excel); Accounting; Microeconomics. Admissions Requirements: Minimum of two years full-time work experience following completion of the bachelors degree. Experience must be in real estate or a closely related field. 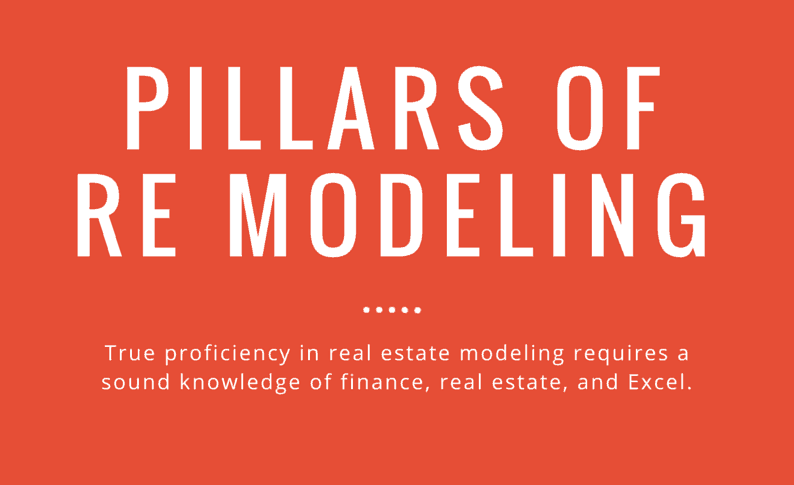 Students who have worked directly with real estate assets – such as development, construction, architecture, city planning, commercial real estate finance, commercial real estate brokerage, or real estate law – are best-prepared for the Dollinger MRED program. Admission Schedule: Application Deadline February 1. Program Begins May 30, 2017. My goal has been to provide a fact-based and unbiased profile of the USC Dollinger Master of Real Estate Development. As such, I’ve been careful not to provide much commentary on the facts as they’ve been communicated. This last section, ‘Commentary’, deviates slightly from that goal in so much as here’s my chance to offer personal insights on my experience talking with alumni and visiting campus. Strong Alumni Network. The USC network does extremely well in the western states but also has working alumni everywhere. Real estate is a relationship business and the primary reason in my view to attend a top-tier university is for the network. The fact that the undergraduate real estate development degree has just been offered will only expand the active real estate alumni network around Los Angeles and the rest of the country. Program Length. The program is packed into 11 intense months. This can mean that you’re going to be exposed to a lot of information very quickly, but if you know what you want out of the program, you can hit the ground running and in less than a year have the skills and network you need to quickly get where you’re looking to go. It’s perfect for those that know what skills they need acquire and where they want to go after graduation. Know what you want out of the program after graduation – It’s very important for anyone looking at USC’s program to know that it is focused on enhancing the career trajectory of it’s students, not creating entirely new careers. In my opinion, this is the critical differentiation between USC and other programs. This program is really meant for people that come from a commercial real estate background (even if it’s somewhat tangental exposure) and for people that know what they want to achieve on the other side of the MRED. It’s meant for those that might be transitioning from one area of real estate to another or those seeking to broaden their knowledge and contacts in the industry. I think this is a strength of the program because you might have architects, lawyers, brokers and property managers on your team in class, all bringing a different skilled prospective to your network. Talk to everyone you can – You’ll likely be competing against a couple hundred applicants for around 25 spots so go visit campus and connect with professors, alumni and admissions staff. Make sure your quantitative background is highlighted and really communicate what you bring to the class and exactly how you’re going to lever the MRED to reach post grad plans. USC MRED Program Link – This is the link to the program home. If you’re interested in the program I encourage you to check the site for program updates. My hope is that the school profiles, including this profile of the USC Dollinger Master in Real Estate Development, can be living documents that are regularly updated as new information comes available. So if you have any additional information you think will improve this profile, please share it with me and I’ll gladly add it to the profile. Also, undoubtedly there is inaccurate or incomplete information in this profile and so please let me know if you see something that needs correcting. About the Guest Author: A huge thanks to Dustin Dunham for researching and writing this profile. Dustin is a former banker and real estate startup entrepreneur. He's passionate about commercial real estate and currently applying to top graduate real estate programs.